What are the best things to do in Grand Canyon? People often ask this question when they first visit the park. After a long drive across Arizona they head to a spectacular viewpoint, take in the incredible views … and then wonder what to do next! 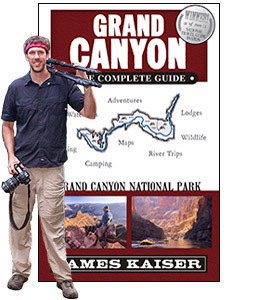 That’s why I wrote Grand Canyon: The Complete Guide. Grand Canyon has some of the best outdoor activities in America. You can hike to spectacular waterfalls, raft the Colorado River, or ride a mule to the bottom of the Canyon. Unfortunately, many people think Grand Canyon is just a pretty view. They swing by on their way to Las Vegas, peer over the edge, and call it a day. What a shame! One of the most incredible places on earth — a stunning canyon filled with great things to do — and they missed it. Grand Canyon is an outdoor paradise. 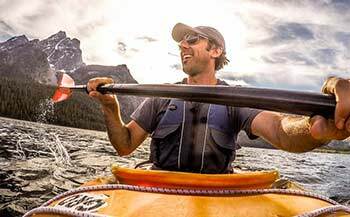 There’s no shortage of activities and adventures. But you need to plan ahead to make the most of your trip. 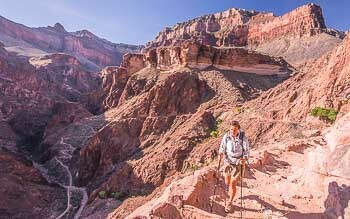 This page will introduce you to some of the best things to do in Grand Canyon, helping you maximize your time for an unforgettable vacation.